Easter Trail – Running from 8th to 26th April, join in with this free Easter activity around the outside play area and receive chocolate lolly! Then pop into the cafe where children can colour some egg pictures which will be displayed in the cafe. 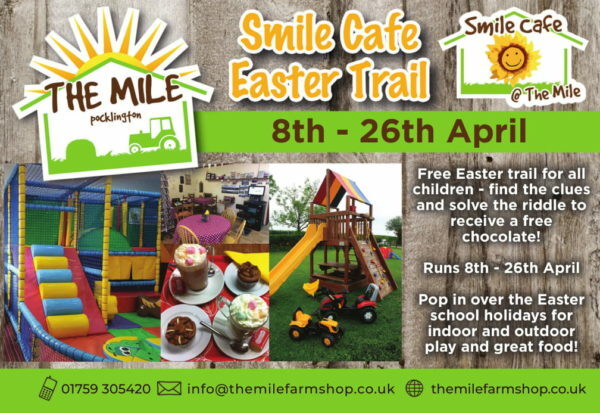 The Smile Cafe: The Mile are famous for their Smile Café, a lovely café serving great food with an indoor soft play area. The food is from local suppliers and the kid’s selection is excellent. 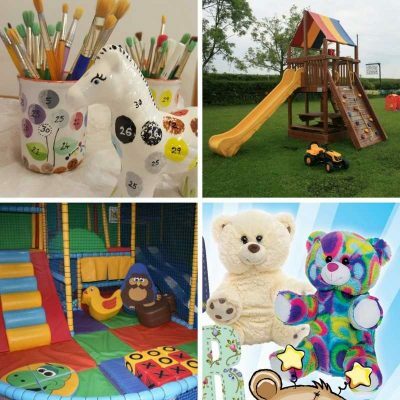 It’s an ideal place to meet with little ones (especially if the weather isn’t kind to us this Easter!) and I often meet friends there. If the weather is nice you can play in the outside area and join in with the free Easter Trail, find all the clues to receive a chocolate lolly! They have a new selection of ride-on’s for children to use. Pottery painting: A lovely idea to do with your family, they have pottery painting sessions available across the Easter holidays. Pottery painting is running daily, however please book in advance to reserve a table. You can even paint in acrylics so you can take your item away on the day and not have to wait for it to be fired and collected on a separate visit. Personalised Gifts: Next to the Smile Café is a dedicated photo and gift centre so pick up any presents or gifts you need whilst you visit. 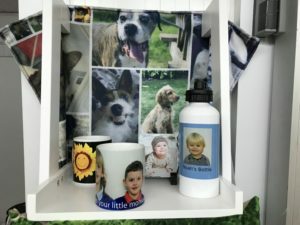 With a wide range of items that can be personalised with your photo’s, from water bottles and cups to cushions and blankets, simply choose your item and photo to get a lovely personalised gift. You can also print out photos direct from your phone whilst you are there; I have so many pictures on my phone but never get round to printing them off so love that I can get some printed whilst visiting. They also have a passport photo service if you need a new picture for a little ones passport. Campsite: Did you know you can also stay over? They have a lovely camp site behind The Mile with views across the Yorkshire Wolds. With hard standing or standard pitches, caravans and tents are welcome all year round and there are excellent facilities with a new shower block. 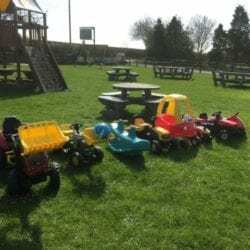 They’re having an open weekend and family fun event at the campsite later this year on 28th and 29th June, including bouncy castles and petting farm from the Purple Pig. This free event will give local families the opportunity to see the facilities as well as having a fun day out. Find them at The Mile, Pocklington, YO42 1TW. 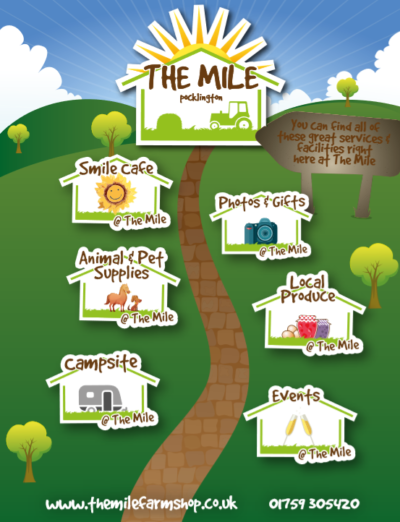 For more information and bookings please call Jo on 01759 305420, email info@themilefarmshop.co.uk, or check out their website here or their facebook page here.